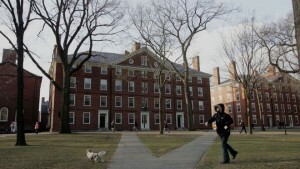 Harvard will no longer call its dormitory leaders “house masters”. It is the latest controversy in months of protests at US universities about the legacy of slavery. The decision by Harvard to use the term “faculty deans” to describe the lead advisors of student dormitories, instead of “house masters”, is to do with the word’s reminiscence of slavery in the US. Harvard is not the only Ivy League school to dispense with “master” in some academic titles. Yale and Princeton have discontinued its use, and Massachusetts Institute of Technology is considering a similar change. 1. During the period of slavery, people who “owned” or employed slaves were called MASTER, therefore “master” brings to mind slavery. However, “master” has other uses especially in modern use. Can you give some examples? 2. Please share what you know about the history of slavery in America. Are you aware of any “slavery” happening right now in other parts of the world? 3. Racism in America: Has it improved or is it still a problem? shooting at a black church by a white supremacist is a heartbreaking low.